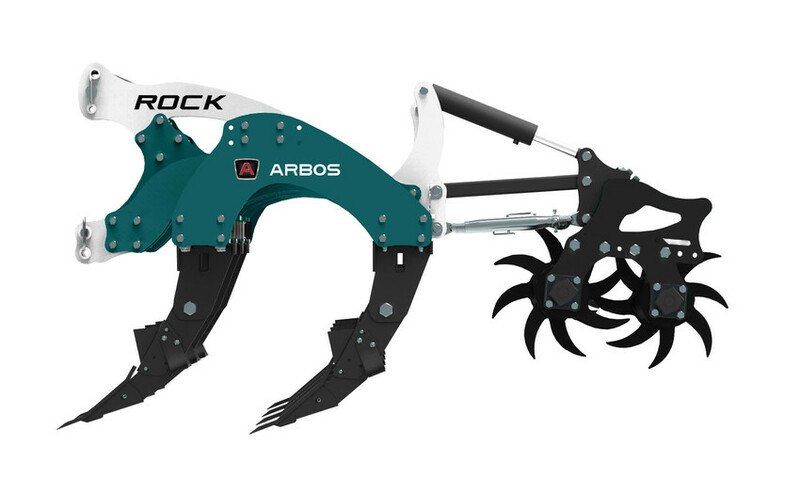 The ARBOS ripper of the ROCK series has been designed and constructed to meet all user needs on particularly firm terrain and where crop residue is present. 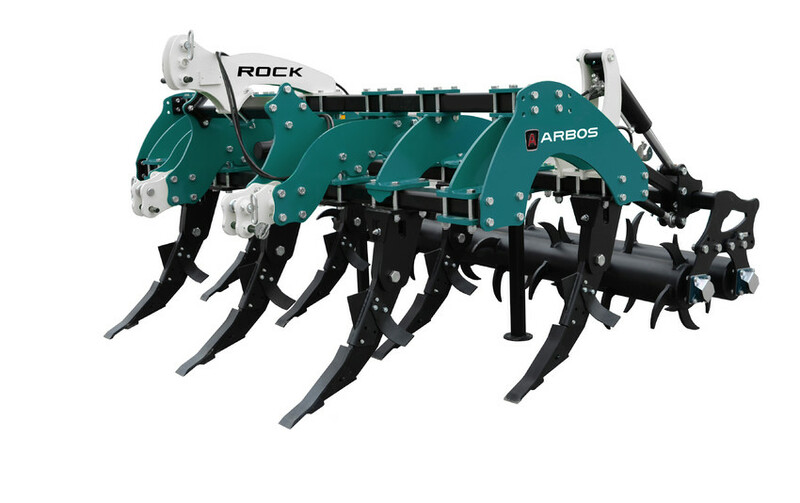 The high resistant steel used and the particular structure with bolted joints make the ROCK ripper suitable for heavy-duty working conditions. Each anchor is equipped with a bolted safety device duly sized and a quickrelease tip. It can also be equipped with deflectors to break up the terrain better. 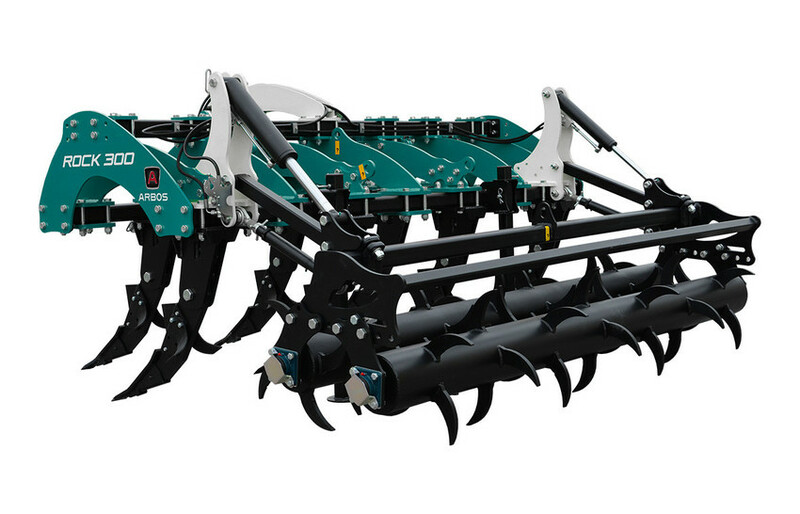 The row spacing between the anchors can be easily modified to adapt to the needs of the most demanding operator. The ROCK ripper can also be used in the version without wheels. The rear rollers are equipped with parallelogram hydraulic movement which ensures quick and accurate adjustment of the working depth. 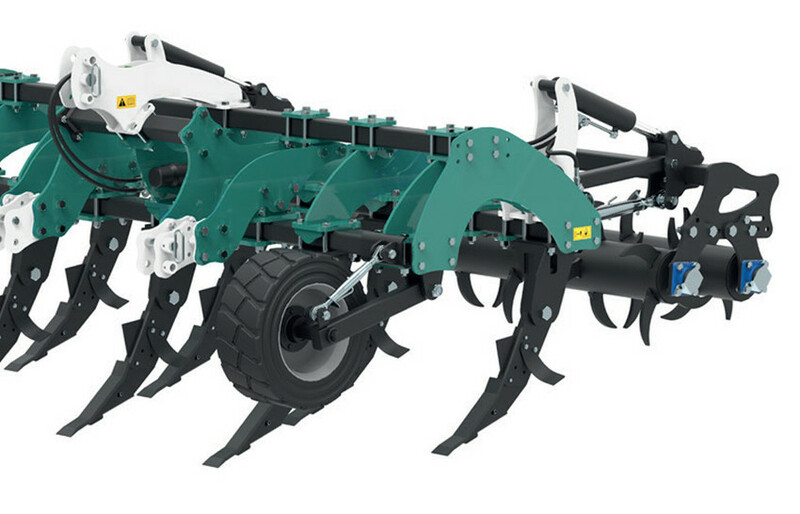 The particular architecture of the roller frame allows the operator to modify the centreline between the roller. 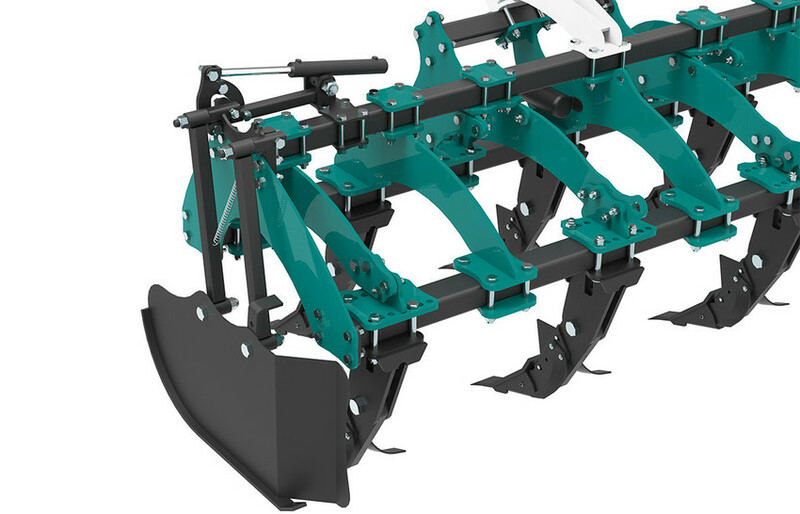 This important technical solution allows the machine to be customised so that it adapts perfectly to all conditions of the terrain. The steel deflectors with anti-wear treatment can be adjusted and set to one of two positions to adapt to all types of terrain. Joints using a locking system with high-resistant bolts. The anchors are equipped with a bolted safety device. The tips are in anti-wear steel and can be easily replaced thanks to a quick-fit disassembly system.